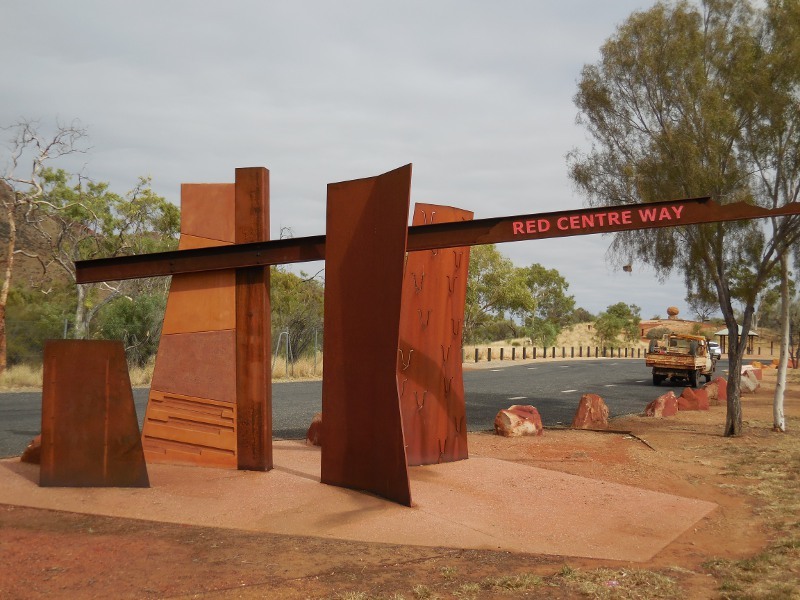 The Red Centre Way in the Australian Northern Territory, including surrounding attractions and settlements. Based on the map sign at the intersection of Stuart and Lasseter Highways. (Source: Christallkeks) To best experience Australia’s Red Centre, a six- or seven-day tour is recommended, commencing at Uluṟu (also known as Ayers Rock) and following the famous ‘Red Centre Way’ in a continuous loop which travels across the landforms of Kings Canyon and the West MacDonnell Ranges through to the town of Alice Springs. The trip traverses many of the sedimentary sequences of the Amadeus Basin, where sedimentation spanned from the late Neoproterozoic to the Devonian, when deposition ceased around 350 million years ago in response to the intracratonic Alice Springs Orogeny. Since that time a long period of erosion has resulted in the distinctive landforms now forming the Red Centre landscape and a wide variety of evolved land systems, accentuated by the iron-rich red soil. 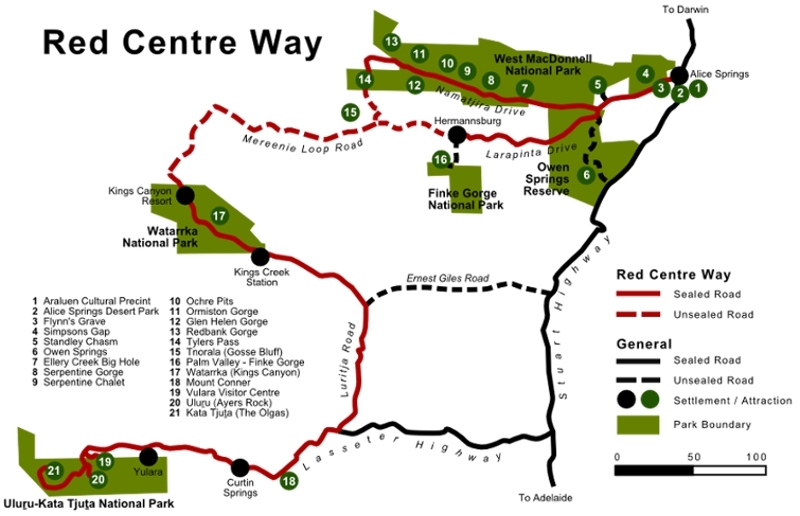 The famous Red Centre Way, to geologists, the ‘Red Centre Geotrail’. (Source: Angus M Robinson) The first place to visit after arriving at the airport at Yulara is the Uluṟu Cultural Centre of the Uluṟu-Kata Tjuṯa National Park, to learn about the culture of the indigenous people (Anangu). This park is internationally recognised as a World Heritage Area, one of the few properties to be dual-listed by UNESCO for both outstanding natural and cultural values. The Cultural Centre explains the foundation of aboriginal culture, Tjukurpa – the traditional law that guides Anangu daily life. 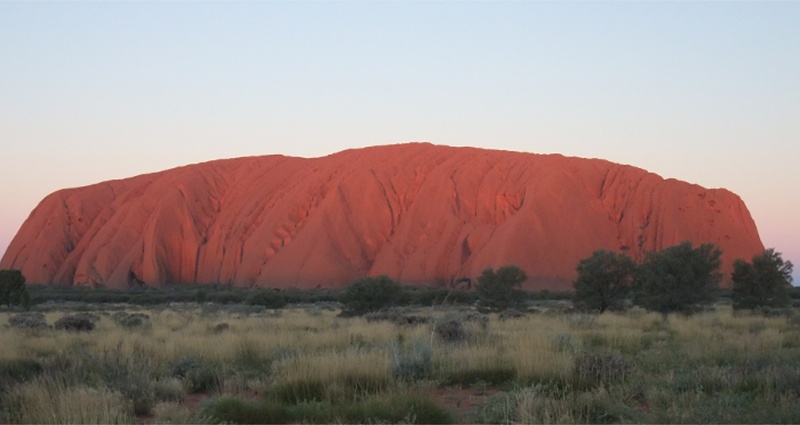 Visitors can also take an interpretative walk of the geology and indigenous culture around the base of Uluṟu (Ayers Rock) – the world-famous exposure of the early Cambrian Mutitjulu Arkose – before enjoying a classic Uluṟu sunset, as the vast inselberg slowly moves through a broad spectrum of colours. To truly appreciate the colours, rise early to witness, from the Talinguru Nyakunytjaku lookout and interpretative walking trail, a spectacular Uluṟu sunrise, seeing its terracotta-coloured surface bathed in flaming red. In the distance Kata Tjuṯa can also be seen emerging under sunlight. 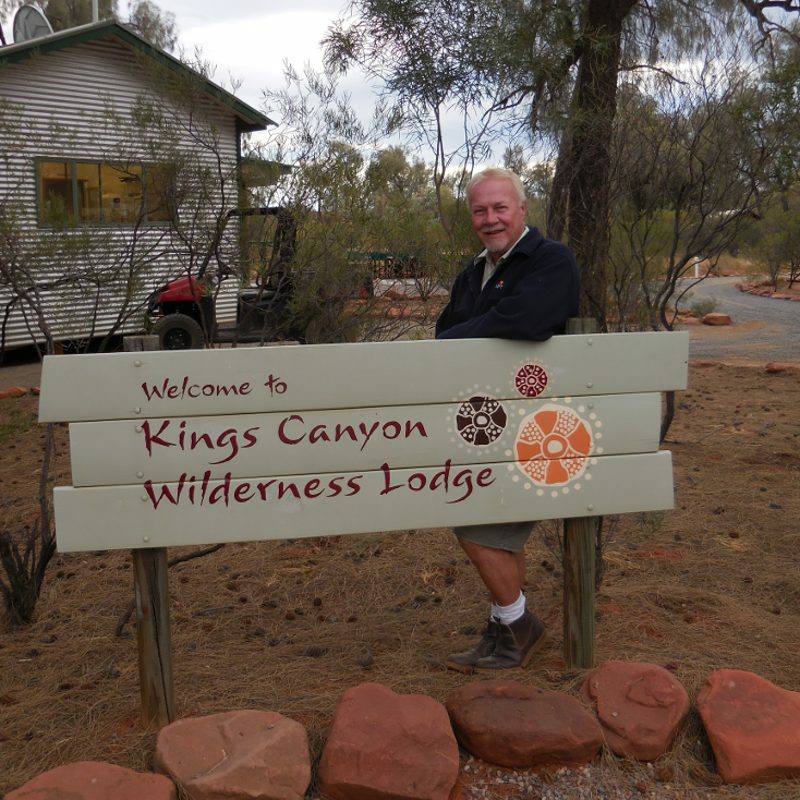 A warm welcome from Graham Wells, manager of the Kings Canyon Wilderness Lodge. (Source: Angus M Robinson) Kata Tjuṯa is some 50 km from Yulara, where you can enjoy outstanding walks at the Kata Tjuṯa Dune viewing area, the Valley of the Winds, and the Walpa Gorge. The 36 domes that make up Kata Tjuta cover an area of 21.8 km2 and are composed of early Cambrian conglomerate, a sedimentary rock consisting of cobbles and boulders of varying rock types which include granite and basalt, cemented by a matrix of sandstone, deposited at the same time as the Mutitjulu Arkose at Uluṟu. Leaving the Uluṟu-Kata Tjuṯa National Park and after traversing vast sand dune land systems and passing the Mount Conner mesa, you arrive at the Watarrka National Park, where a great place to stay is the fabulous Kings Canyon Wilderness Lodge – ‘glamping’ at its very best. Interpreting the geology exposed in the walls and along the rim of Kings Canyon (within the Watarrka National Park), composed of the Silurian-Devonian Meerenie Sandstone, as well as seeing the flora of Kings Canyon on either the rim walk, or the easier watercourse walk up through the Canyon, will occupy a whole afternoon – preferably followed by a gourmet Aussie barbecue and an interpretative astronomical tour of the brilliant, crystal-clear southern skies. Travelling along the famous unsealed and rugged outback road known as the Meerenie Loop is an exciting journey, best done with a four-wheel drive vehicle. 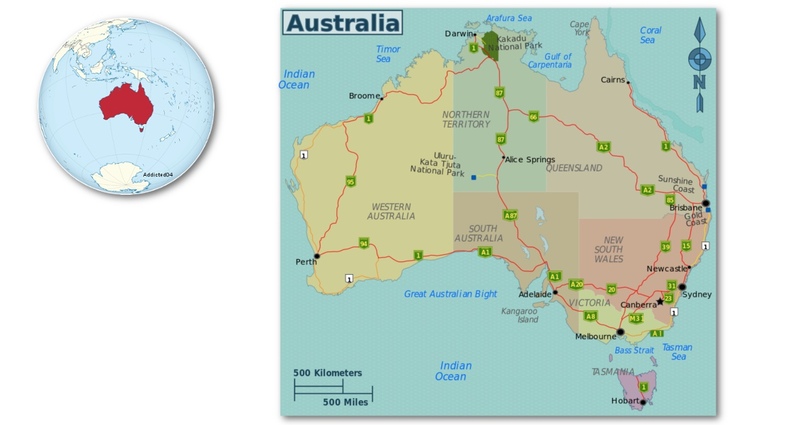 It passes through some dramatic Australian outback scenery and across several of the major formations of the Amadeus Basin, as well as through the Meerenie gas field. Along the way you pass the Gosse Bluff meteor impact crater of Cretaceous age, and then travel through some of Australia’s finest Red Centre scenic landscapes, featuring outstanding River Red Gums and Ironwoods. 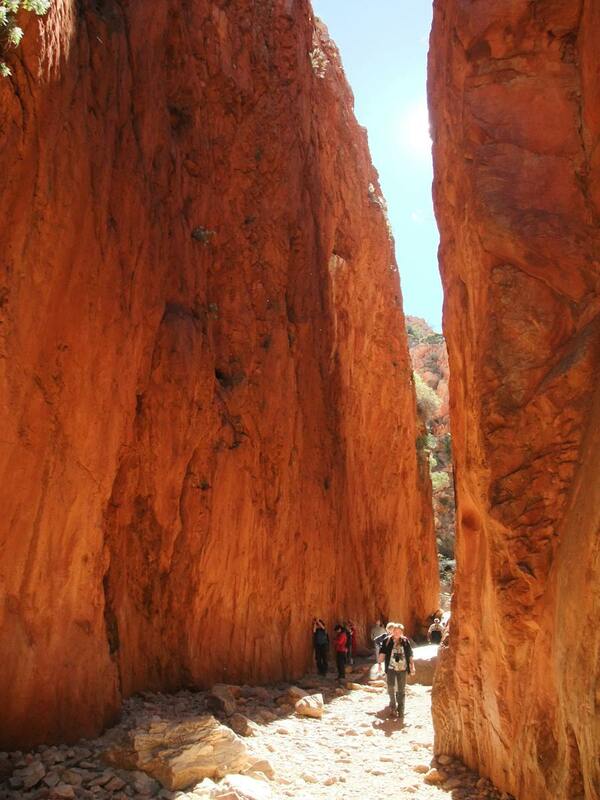 The spectacular Standley Chasm bathed in sunlight at noon. 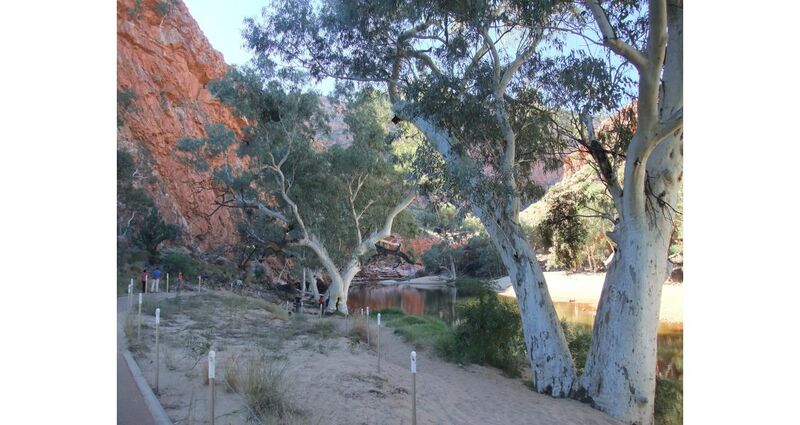 (Source: Angus M Robinson) The stunning and beautiful Ormiston Gorge introduces visitors to the spectacular geology and landforms of the West MacDonnell Ranges, where the geology is very complex, with much folding and overthrusting of the strata. Immediately past the entrance gates to Ormiston Gorge Park is an anticline outlined by the late Neoproterozoic Heavitree Quartzite, the oldest formation in the Amadeus Basin sequence. At the main waterhole, the Heavitree Quartzite in the base of the cliff is overlain by a repeated sequence of Heavitree Quartzite which has been thrust southwards from several kilometres to the north. Ellery Creek flows southwards across the basin sequence, beginning at a gap in a ridge of Heavitree Quartzite at Ellery Big Hole. The trip along the creek covers the Neoproterozoic to Palaeozoic history of the Amadeus Basin, and finishes at exposures of the Devonian Brewer Conglomerate, deposited in response to the early stages of the Alice Springs Orogeny. On the way it cuts through the Ordovician source and reservoir rocks of the Mereenie and Palm Valley gas fields. Also in the West MacDonnell Ranges is Standley Chasm. 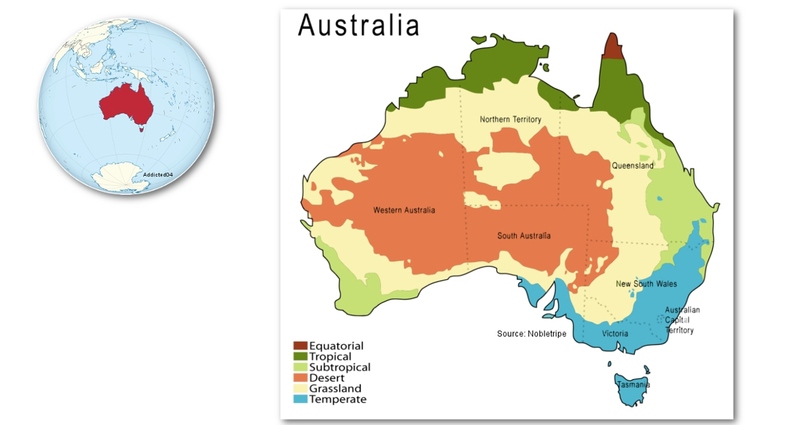 About 900 million years ago magma was introduced into fractures in much of the basement rock of the Arunta Region, which pre-dates the Amadeus Basin, west of Alice Springs. The fractures were vertical and extended north-south. This intrusion opened the fractures and the magma cooled and formed dolerite. At Standley Chasm the dolerite intruded the approximately 1,600 million-year-old Chewings Quartzite (now comprised of interlayered quartzite and mica schist). Dolerite is much less resistant to weathering and erosion than quartzite, and during the latest weathering cycle a southflowing creek eroded out a dolerite dyke, leaving vertical quartzite walls at Standley Chasm, brilliantly illuminated by the rays of the sun around midday. Closer to Alice Springs is Simpsons Gap, which features a ridge of Heavitree Quartzite downfaulted into older Arunta Region rocks. The historic Alice Springs Telegraph Station is worth a visit; the first site of European settlement in Alice Springs, it was in service for 60 years before becoming a school for indigenous children. The telegraph played a pivotal role in Australia’s history and with 12 stations along the line, the Alice Springs Telegraph Station is the best preserved of them all. 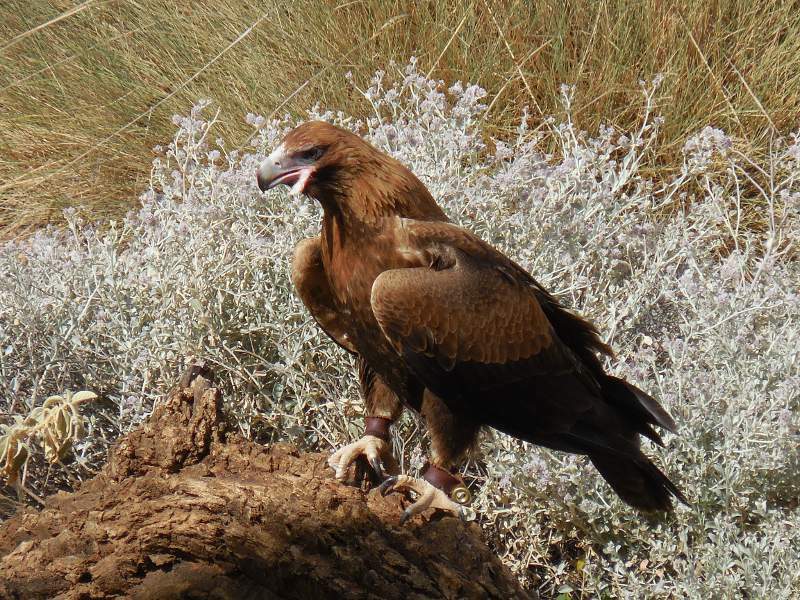 Australia’s Wedge-Tailed Eagle, a feature of the flying bird demonstration at the Alice Springs Desert Park. (Source: Angus M Robinson) At the Alice Springs Desert Park visitors can enjoy an indigenous bush survival display, a truly outstanding flying bird demonstration, and the chance to meet and greet a variety of Australian inland animals such as the dingo and some nocturnal mammals, snakes and lizards, as well as the flightless emu, which with the red kangaroo forms a key part of the Australian coat of arms. And for a change from all the geology and nature, visit the Araluen Cultural Precinct for a self-guided walking tour which provides a fascinating glimpse into the art, culture and heritage of Central Australia. The Precinct includes the Araluen Arts Centre, incorporating the Albert Namajira indigenous Australian Art Gallery, a natural history museum of Central Australia, the Strehlow Research Centre (indigenous culture), the Central Australian Aviation Museum, as well as craft galleries and shops. 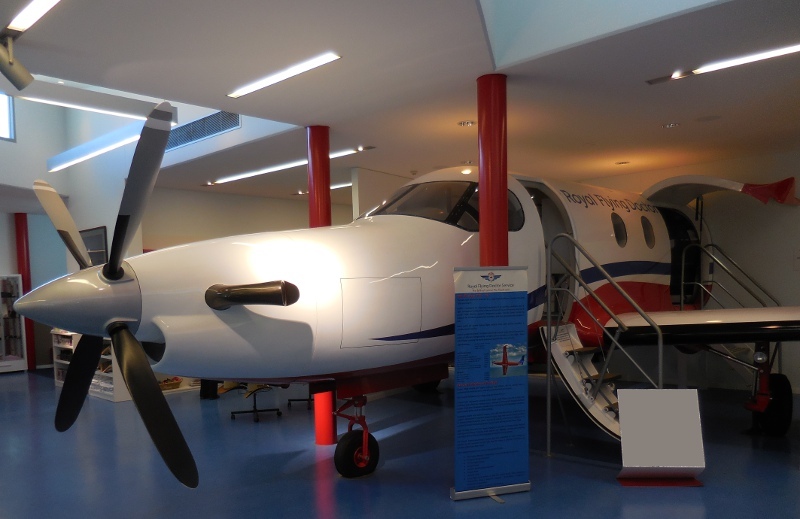 A trip to the Red Centre must include a visit to the world-famous Royal Flying Doctor Service Tourist Facility, which includes a new theatrette, interactive information portals and a full scale replica of the fuselage of the Service’s operational Pilatus PC 12 aircraft. Starting as the dream of a Presbyterian minister, the Reverend John Flynn, the Royal Flying Doctor Service is one of the largest and most comprehensive aeromedical organisations in the world, providing extensive primary health care and 24-hour emergency service to people over an area of some 7.25 million km2. Australia’s National Landscapes Programme was originally developed by the Australian government in collaboration with state and territory national park agencies, state and regional tourism organisations, local government and industry to highlight a collection of iconic places with great cultural, natural heritage and spiritual significance. The Programme aims to promote the conservation of Australia’s natural assets while raising awareness and visitation to Australia’s premier culture and nature-based destinations that deliver memorable holiday experiences to the international ‘Experience Seeker’ target market. 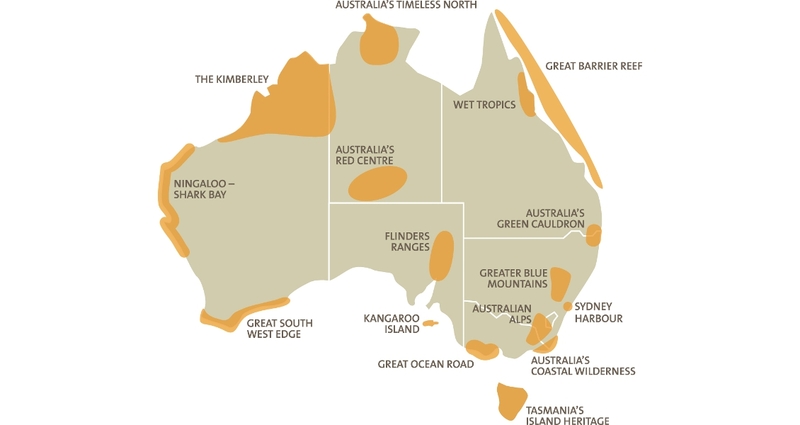 It is now operating on an industry-owned model coordinated administratively by the peak industry association, Ecotourism Australia Ltd. As well as Australia’s Red Centre, the Programme currently includes 15 other National Landscapes. 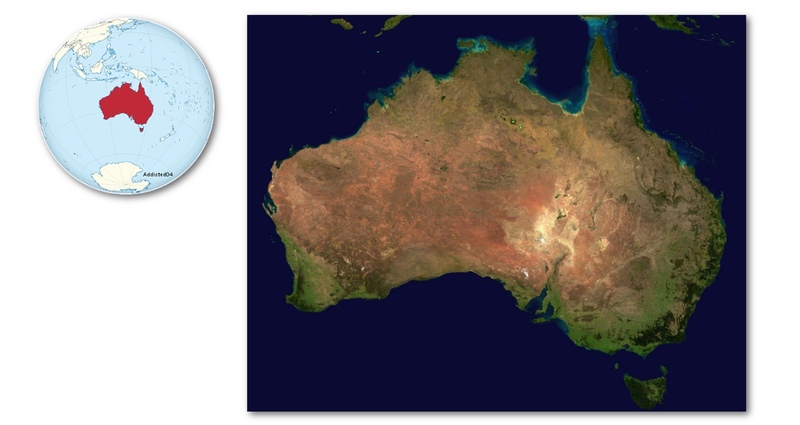 Map of Australia’s National Landscapes. 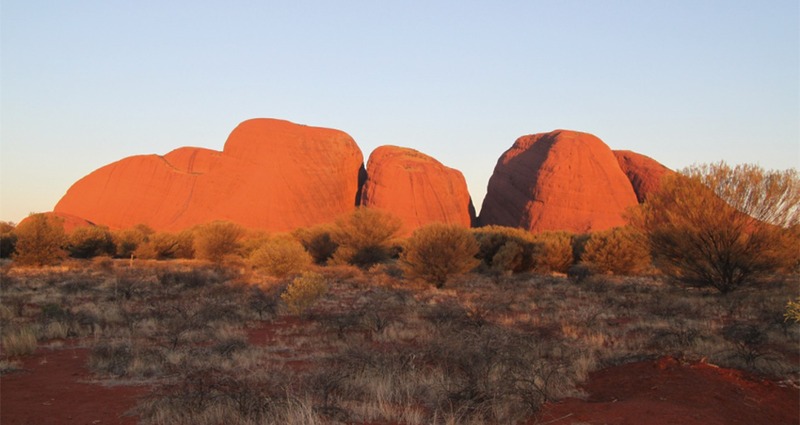 From a geotourism perspective, a trip to Australia’s Red Centre is a truly holistic environmental experience, which recognises the significant contribution of geology and landscape, while giving the visitor an engaging, informative and enjoyable trip. 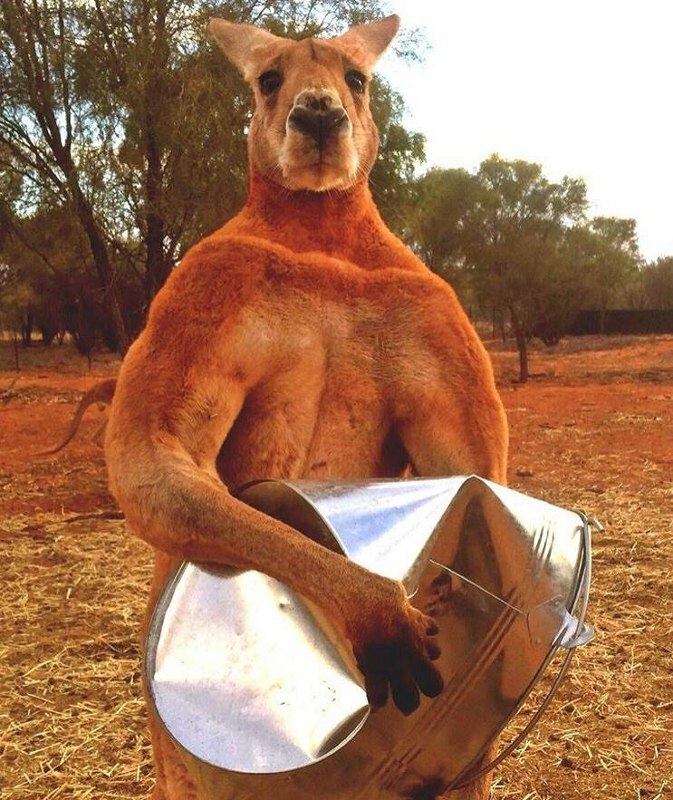 (Source: The Kangaroo Sanctuary in Alice Springs) This geotour was originally designed for two international groups: for Rotarians visiting Australia for the Rotary International Convention (2014), and, with a customised geological focus, as a pre-conference tour of the AAPG International Conference in Melbourne (2015). 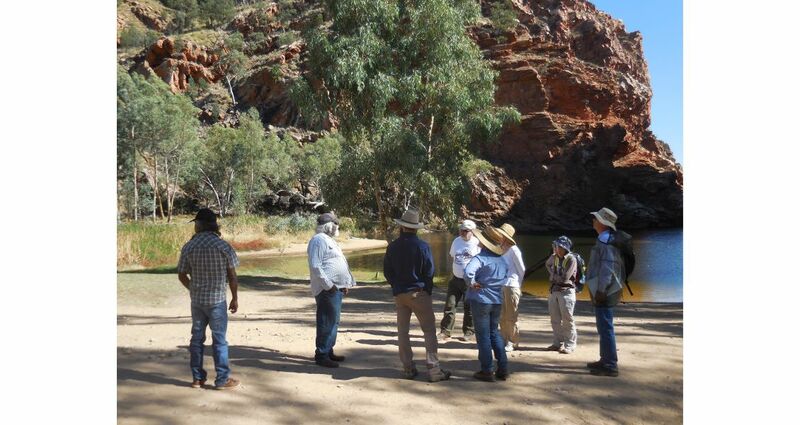 Both tours were led by Angus M. Robinson (Managing Partner of Leisure Solutions); and for the second tour, in his capacity as Chairman of the Geotourism Standing Committee of the Geological Society of Australia, ably assisted by Christine Edgoose who is both Manager, Basin Geoscience for the Northern Territory Geological Survey and a Councillor of the Geological Society of Australia.